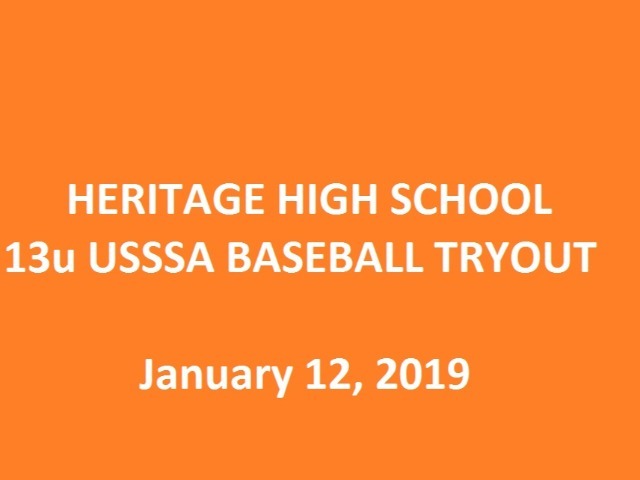 13u Travel Baseball tryout will be held for players in the Heritage Feeder pattern that go to Lingle, Oakdale, or home schooled in the district. We have only few spots left to fill. Will be held at Veterans park, January 12th 10:00 am to 11:00 am. Could be redirected to Indoor facilities at time of event in case of poor weather. Contact Head Coach: Mitch Cameron at mitch.cameron@rpsar.net for more information.